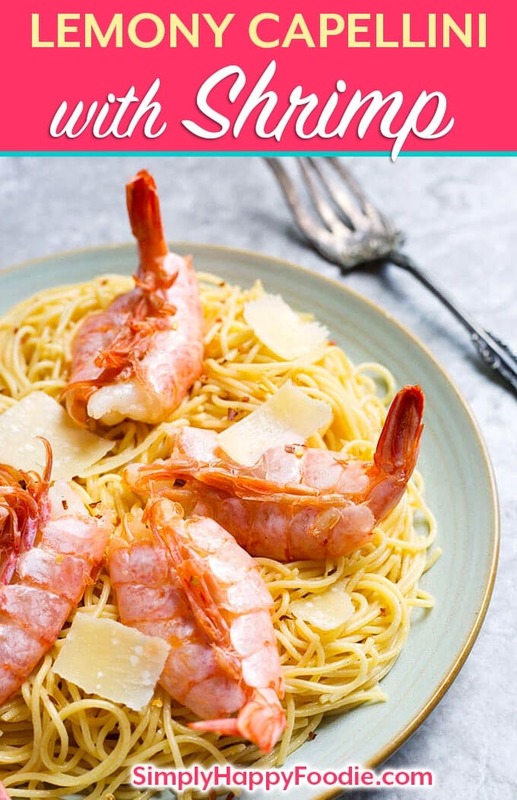 Lemony Capellini with Shrimp is a quick and easy main dish pasta with a wonderful lemon flavor and tender shrimp. 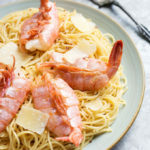 It’s a very good shrimp pasta recipe! I’ve mentioned how much I love our neighbors before. It’s so nice to know that there are people you live near who look out for you, and who you look out for, too! One of our neighbors was out of town the other week, and his partner was home alone. Paul and I decided to surprise him with a nice home cooked dinner, and some company. 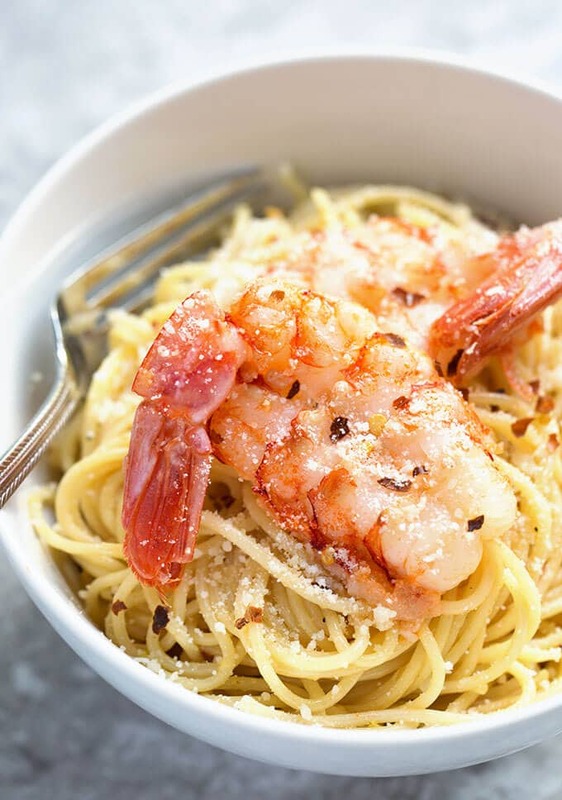 I whipped up this Lemony Capellini with Shrimp, and he loved it! We had a nice visit, and left feeling much gratitude for their friendship. I hope you are lucky enough to have good neighbors. 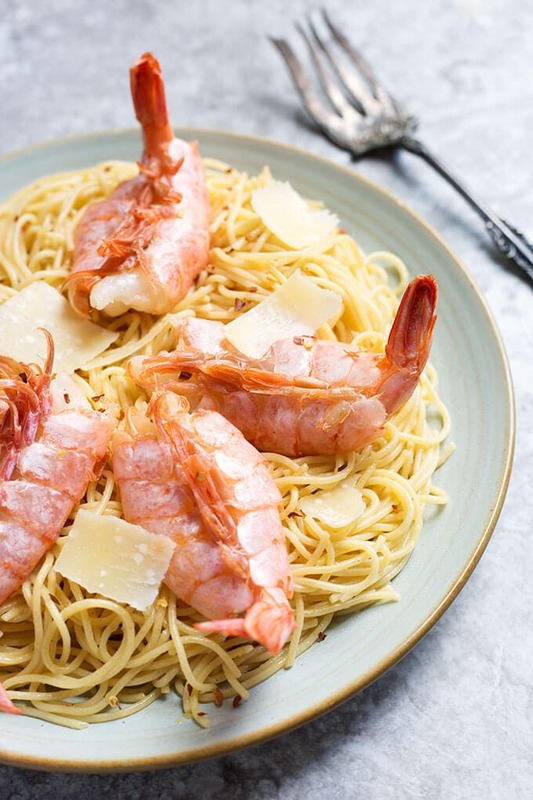 Lemony Capellini with Shrimp is a quick and easy main dish pasta. Very flavorful! Start pasta cooking in a pot of boiling water with 2 tsp Kosher salt and 1 tsp of olive oil, until al dente, about 9 minutes. Drain. In a large frying pan, heat 3 tsp of olive oil and add the whole garlic clove. Stir the garlic until you start to smell it, being careful not to burn it. Remove it and discard. Add the shrimp and stir, cook until dark pink and no longer translucent. Remove from pan and set aside. Add 2 Tbsp olive oil and the butter to the same pan and melt butter. Add the lemon juice, zest, salt, pepper, and red pepper flakes and stir until heated through. Add the pasta to the pan and use tongs to mix the pasta with the sauce. If you don't want to use shrimp, this tastes wonderful without it! This looks and sounds delicious! I’ve never met a lemon dish I didn’t love! Thanks for the recipe! It is very lemony and buttery! Even without the shrimp it’s a great quick pasta dish! Enjoy!